Top 10 Spending Justifications of Beauty Junkies - with Makeup Over Mind! Last weekend on Twitter, I was having the chats with Enabler #1, Orla from Makeup Over Mind. She'd ordered the Hourglass Ambient Lighting blush and before I knew it, I'd completely and utterly broken my spending ban, but was easily able to justify the purchase to myself using one of the usual suspects that I pull out any time I'm buying something I want but don't need. And it was while watching Orla's recent purchase video that I noticed she did it too with pretty much everything she bought. I knew I liked her for a reason. So we decided to join forces and give you an uber list of justifications that you can use for yourself while you're wondering whether to buy something or not. Also, feel free to catalogue these and use them on your shopping partner if they're giving you grief over your purchases. 1. I was going to buy it anyway. 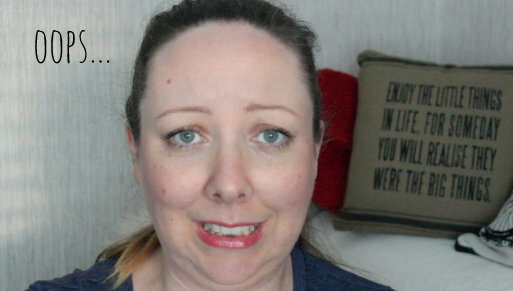 You're standing in Boots with product in hand, wondering whether to buy it or not. You know you're going to get it at some point in the very near future, so you might as well save time, effort and petrol, not having to come back to the same shop and stand in the exact same spot to buy the exact same product. Get it. Walk the 10 steps over to the till rather than going all the way home to come all the way back in next week. Get it. The end. 2. It was on sale/3 for 2. This is a no brainer but let me spell it out for the non makeup lovers out there. It's a very rare occasion that I'll go into Boots and see a 3 for 2 sale on and buy one item. It makes no logical sense to me and chances are the times I've done that are times I've spent a good hour looking for a second item to buy and have everything else in the shop really. If you see a couple of lipsticks or nail polishes you like and they're 3 for 2, you're mad not to get them and get the third item for free. You might find it hard choosing the third item, but that's only natural. It's the free thing and they're always the hardest to pick out because you want to make sure you're getting something brilliant for no euros. 3. It's for the blog. This is probably my most used justification. A lot of people think that setting up a blog means getting sent products but what it actually means is being open to millions of new products and brands and wanting to try more. The more you try, the more you want to try, so "it's for the blog" should roll off your tongue. What can I say, we love what we love. 4. But I've nothing like it in my collection. Some people collect stamps, others collect fine art. I collect things to put on my face. It's why I have a whole storage unit dedicated entirely to makeup and will keep Ikea in business by myself. So when I'm buying a new product that I can safely say is nothing like anything else I have, that gives me a free pass to pick it up because I can pretty much name every single item in my stash and if I say I don't have something, I don't have it and thus need to buy it. Fact. 5. 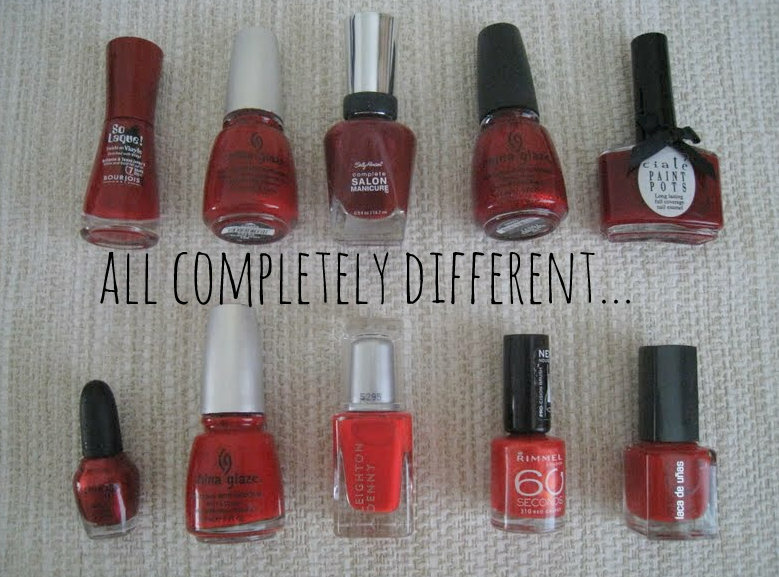 What you talkin' about Willis, it's completely different to the 10 other red polishes I already have. Much like jewellery appraisers who can spot subtle differences in stones, you can tell the difference between all 10 red polishes in your collection. It's a gift. You mightn't be able to see who said hi to you this morning on the way to work, but you can spot an orange toned red and a blue toned red a mile away and are 100% certain that the red you're holding triumphantly in your hand, is completely unique and will make a welcome addition, not replacement in your stash. 6. But I love it. Sometimes those four little words say so much. You know if you put this eyeshadow back on the stand, you're going to go home and not be able to think about anything else. Save yourself the mental anguish of denying yourself something that you love. It's for your own good and for the good of all around you. 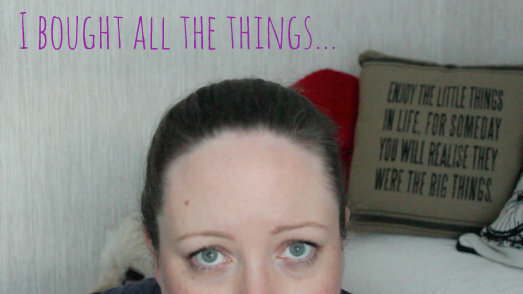 Ain't nobody got time for listenin' to you whinge about the eyeshadow you should've bought. Buy it. 7. I deserve a payday/Monday/Friday/weekend treat. Working is hard and what better way to treat yourself than with a new mascara. And isn't it good to be nice to yourself? You've made it through the day/week/month and rather than celebrate with a big chinese or pint of wine, you're choosing to watch your calories and treat yourself to a calorie free mascara. You deserve it and sure L'Oreal themselves say you're worth it so you best be listening to them and treat yourself. 8. I think this could be my holy grail mascara and then I could stop searching as it would be The One. Imagine it, the elusive Holy Grail. The product that could potentially make you stop searching forever..... That pleases me and scares me at the same time. What if I found all of the Holy Grails for my face... Would I just stop shopping? Then I remember that in the past I've found Holy Grail items, used them up and when about to purchase them again, had the fear I was missing out on trying something even better. But still, this is a good justification to essentially freak your shopping partner out. They hear you talking Holy Grail and it'll shut them up because you're talking religious/Indiana Jones stuff and if buying yet another mascara hasn't scared them, comparing it to Jesus' cup will. 9. By buying this extra item, I qualified for free shipping. Who cares if the cost of the extra item was more than the cost of shipping? Not I. 10. I don't drink or smoke and makeup makes me happy. Who doesn't want me to be happy? Life should be about being happy shouldn't it? And if you have the chance to make yourself happy, then you should take it with both hands shouldn't you? Makeup makes me happy, so by Pythagoras' theorem or something, more makeup will make me more happy. You can't argue with mathematics now can you? My work here is done. As I finished this post, I realised that I never uttered "But I need it" once and that's the whole reason for this post. We don't need any of it and yet we shall continue to purchase all of the things! I hope you found these justifications helpful and as I said, learn them off my heart and I'll test you on them. Make sure you go over to Orla's blog, Makeup Over Mind, to see her justifications! A few of them overlap but that just shows the strength of the justification itself and they're our three go to excuses when purchasing. One of my favourites though is "Oh but it looked gorgeous on Orla so if I get it, I'll look just as gorgeous as her". Plenty of euros later and that still isn't true... So I shall continue to watch her videos and keep coveting all the products she shows us! Now, over to you. Please feel free to leave any justifications we might have left out in the comments. 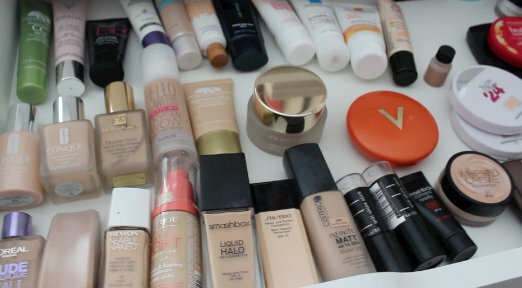 As we continue to buy things, we're going to need more reasons why it's ok to have 15 foundations and countless lipsticks. Next time I'm at boots each of those excuses will be used all at once, love it! This is brilliant! Pretty sure I've used them all at some point, but definitely guilty of regularly using 1, 2 &7! Haha I also deposited a tenner into Parcel Motel just so I could avail of the £2.50 shipping for Model's Own polishes ;) Absolute logic or wha?! Thanks Rachael, sure we're all mad together, so might as well laugh! Beauty junkies wha?! I love this post. I got all excited thinking how I'm going to pull the wool over my own eyes as soon as payday comes around! Merci !!! This had me laughing so hard I almost fell off my chair... Brilliant (& so, so true)!